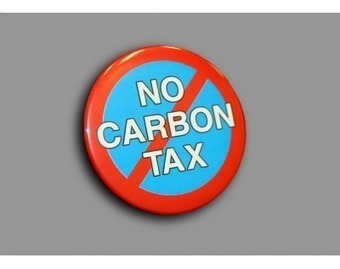 Heritage Foundation economists David Kreutzer and Nicolas Loris have posted an assessment of the economic impacts of a carbon tax that starts out at $25 per ton and increases by 5% annually (after adjusting for inflation). Rather than use industry data or assumptions, they compare two policy scenarios (“side cases”) from the U.S. Energy Information Administration’s (EIA) Annual Energy Outlook 2012. Specifically, Kreutzer and Loris compare projected household income, utility bills, gasoline prices, and job creation in the $25 per ton carbon tax side case and the no-greenhouse-gas-concern side case, a scenario in which energy investors face no risk of a carbon tax or greenhouse gas (GHG) regulation. The foregoing numbers do not take into account the economic benefits of a carbon tax that displaces other taxes or that preempts EPA and state-level GHG regulations. But that is fitting and proper, argue Kreutzer and Loris, because a revenue-neutral carbon tax is a political pipedream, and so is a tax-for-regulation swap. A carbon tax or a price on carbon would be a strong incentive for the development of new technologies. But because it’s so complicated, I would not support preempting EPA. EPA can assure us that we can actually get the reductions we need.